Apple iPhones are known for their quality and how useful their features are. FaceTime and iMessage changed the game when it comes to communicating with friends and family, the Siri virtual assistant is an irreplaceable tool for busy people, and the beautiful screens offer crystal clear views when you’re streaming Netflix shows or YouTube videos. The problem is that this quality comes at a cost. 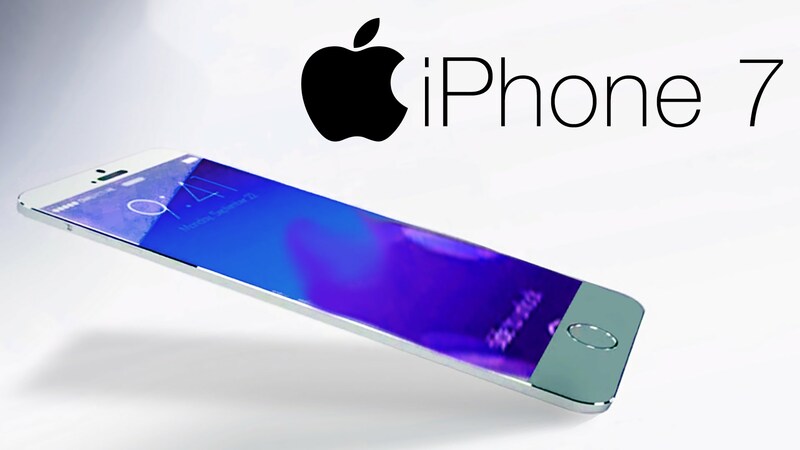 According to a report by Business Insider Intelligence, the average selling price for a brand new iPhone is $800. While that average price is driven by the iPhone X, which retailed for a massive $999 when it was released in November 2017, it underscores the fact that overall, iPhones can be pretty expensive. However, they don’t need to cost so much money. Price-savvy phone users can shave a considerable amount of money off of their next iPhone, helping you to stay in budget when buying a new handset. Take a look at our unmissable iPhone-buying tips below. A refurbished phone is a previously used phone that has been tested extensively, cleaned, and repaired before being sold again. All of the personal data on the phone will have been deleted and it may receive new hardware parts (e.g. a new battery or screen) if necessary. Because phones are unable to be sold as brand new if they have been used at all (even if they have only been used for a single day), retailers opt to test and repair the phones, selling them at a lower the price so that the returned handset doesn’t just languish on the shelves of its store room. Because iPhones are such a popular device, there are generally some very good offers across the entire range of handsets. There are discounts at the lower-end with a refurbished iPhone SE available for just $169 which is a saving of $230 (58% off of the RRP) all the way up to more recently released handsets, with the refurbished iPhone 7 Plus being available for $470 which is a saving of $190 (28% off of the RRP). You can even find offers for refurbished iPhone X units, bagging yourself a discount of more than $100 despite the device releasing less than a year ago. What’s important to note however, is that it’s important to check out the reviews of refurbished iPhone retailers before you buy and to make comparisons. This is because different retailers will offer varying prices (products through Apple may be hundreds of dollars more expensive than a reputable third-party such as Amazon, for example) as well as different warranty offers and they may even have different product ranges on offer. So you’ll want to shop around or use a price comparison site such as Refurb.me to ensure that you’re getting the best deal. When buying a new phone, it can be tempting to just purchase the phone from your network carrier (e.g Verizon, AT&T, or Sprint) either outright or purchasing it on a contract deal that sees you pay for it over the course of 24 months. Many smartphone shoppers do this due to the convenience – you love the current data plan offered by your carrier so it makes sense to buy a phone through them that is locked to that network. But if you’re looking to save money, buying a locked phone through a carrier isn’t recommended. The problem with locked phones is that they can only be used with a SIM card from that carrier, meaning that if you were to ever switch from that network, you’d find yourself in trouble. What happens if you find a better deal on your data plan and want to switch networks (while using the same iPhone) in future? You will then have to pay an additional fee to have that phone unlocked. Furthermore, if you want to sell that phone on to someone, you’ll be limited to buyers who are on the same carrier the phone is locked to. Or, you’ll have to pay to get it unlocked, eating into the potential profit you’d have made by selling the phone to your buddy, your next door neighbor or anyone else who may want to buy it. So, it makes sense to just buy an unlocked phone in the first place, saving you all of this trouble. When buying an iPhone, it can be tempting to spend money on the latest, greatest and most powerful handset on the market. You may have been enticed by the slick, award-winning ads that pull on your heartstrings, or the YouTube videos that feature a group of people having fun with Animojis. While these features are great and are why Apple’s new handsets seem to set sales records when they’re released, in order to save money, it’s important to consider which features you actually need. 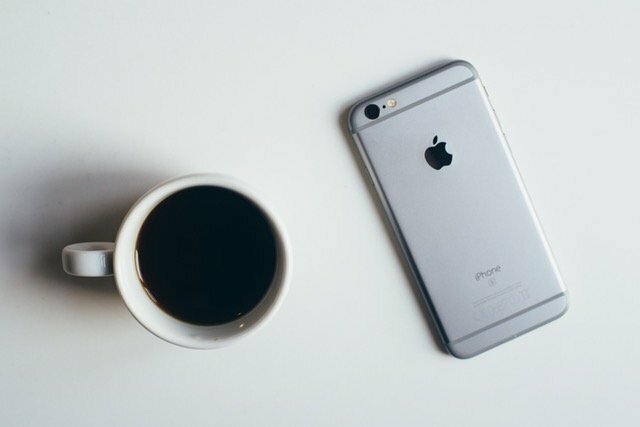 If you already have an iPhone then the best place is to start by checking your app usage (take a look at OSX Daily’s guide on how to do that). if you find yourself mostly checking emails and watching YouTube videos, or playing games such as Candy Crush Saga which don’t require a lot of power to run well, it makes more sense to opt for something such as a refurbished iPhone 6S Plus or even a refurbished iPhone 6. These devices are capable and offer enough power to support your phone usage, without pushing the boat out. If you play a lot of power-intensive games such as Fortnite Battle Royale and PlayerUnknown’s Battlegrounds then it makes sense to go for an iPhone X or something of that ilk. Even then, you can still save a bit of money by being patient and waiting for the latest phone to become available as refurbished (as detailed earlier in this post). It generally takes around three or four months for newly released phones to be refurbished, so a bit of patience can save you a substantial amount of money. 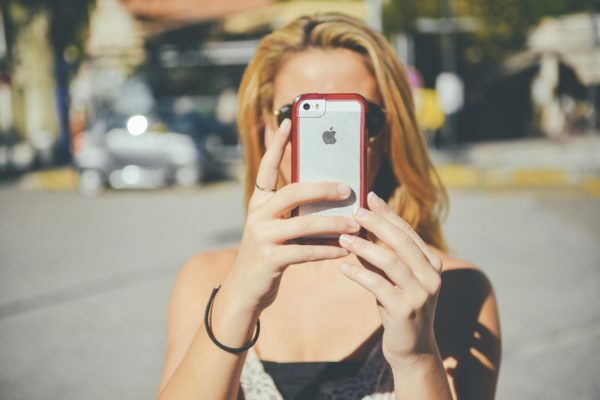 With the increase in iPhone demand all over the world, the iPhone accessories market has also become inundated with hundreds of phone cases in different shapes and sizes making it easy for consumers to find the right one for themselves. Among the best mobile-case stores online, www.casehaven.com.au provides its consumers a wide range of smartphone cases to suit their needs and lifestyle. I am listing here some of the latest iPhone cases that are stylish as well as user-friendly. Whether you are looking for a waterproof case or want to go all glitz and glamour, you can find the right iPhone case for yourself. Available for iPhone 6 and 6S, Mjoose smart case boosts your phone reception with the help of its active antenna technology. It reduces radiation by up to 70% and extends your phone’s battery life. It is a must have smartphone accessory protecting it against drops and other damages. This Ultra-light and fall protection award winning case gives you single handed control and increased safety with your iPhone. Its flexible silicone material allows your finger to be gripped between the phone and the case reducing the risk to fall off your hand and damage to the phone corners. The minimalistic X-form design of the case efficiently dissipates heat and reduces the unconscious stress of dropping the phone. Made of high premium PU leather, FYY iPhone 6S wallet case is among the most selling cases available in the market. With three internal card slots for keeping valuables and a kickstand feature for movie watching or video chatting, this lightweight phone case feels like a full wallet. IPX8 certified JOTO Cellphone Dry Bag case is waterproof and can handle a depth of 100 feet. Perfect for all sorts of water activities, the phone case features a simple snap and lock access, and is easy to keep out water, snow and dust. This bulky phone case offers waterproof protection to your smartphone while maintaining full touch screen functionality. It is designed for iPhone 6S, 6, 6S Plus. Ideal for jogging, running and workouts, this case is made of stretch resistant neoprene, so it easily bends, twists and folds without wrapping. Its comfort-grip with head phone and charger cutouts keeps the phone firmly on your arm during exercise and reduces fall risk. Its water resistant design protects against water and sweat. The protective screen cover gives you full liberty to use your iPhone 6/ 6S, and the built in key pocket provides space for storing your home key. 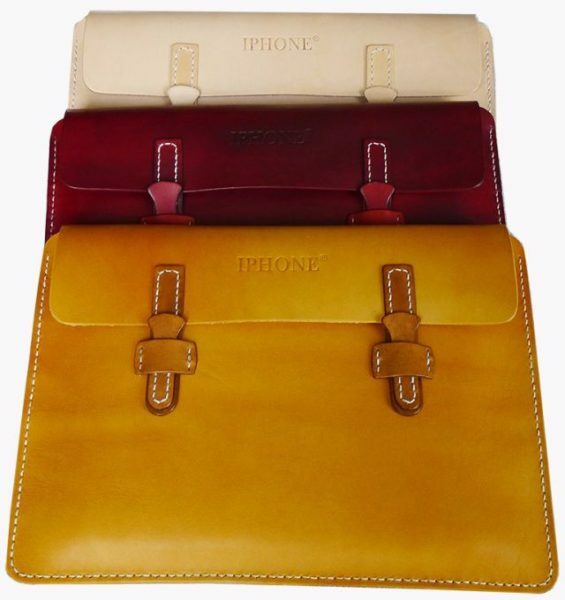 As of 2017, Apple has launched its new six leather and silicone cases in beautiful colors. The silicone case colors are pale blue Azure, muted brown pebble and pale pink Camellia. The colors in leather include Berry, Taupe and Sapphire. These colorful cases fit 4.7-inch iPhone 7 and 5.5-inch iPhone 7. These shades give you option to color match your Apple devices. Easy to put on and clad in bling-enhanced fluid, this hard plastic glittery case protects the screen from fingerprints and scratches as well as provide easy accessibility to the productive apps on your device. As of last year, 90.1 million Americans had an iPhone. They have changed the way modern life is lived in so many different ways. For instance, before smartphones and apps and the internet, people used to actually write in to newspapers with a message about how lonely they were and how much they’d like to meet someone. It was published and then that person would start getting calls and going on dates. Maybe they’d find someone and maybe they wouldn’t. If not, they could try something else or put another ad in the newspaper for everyone to read. It was a slow, somewhat inconvenient system that has all but disappeared today. If it had one use it was to leave us with a wealth of witty reflections on the human condition that were no more than a few sentences long, and this was long before Twitter was invented too (check out these from the London Review of Books). In any case, you can now try to find your soulmate on a variety of free apps that inundate you with ads so that they can continue to match the next generation of Romeos and their Juliets. Whatever your political opinions about the NHS, you may find that it takes longer than you’d like to speak to a doctor. Companies like Babylon have developed artificial intelligence that can help you figure out what might be wrong with you and they can also set up a video chat with a GP if you need one. You can also get your prescription delivered to your house, all without leaving your phone. In terms of checking up on your health, you can use your phone to do all sorts of odd things now such as measure your own heartbeat and find out how well you are sleeping by detecting movement and noise throughout the night. However, not all of the innovation in apps are geared towards helping people. The Global Shark Tracker app lets you track the location of sharks around the world that have been tagged for conservation purposes. If space is more your speed, there are now apps that let you track the International Space Station so you can look out for it as it passes over you. In any case, Apple’s 2009 advertising slogan ‘There’s an app for that!’ is becoming truer every day. Apple has reported falling of iPhone sales and revenue for the third quarter in a row, but sales beat analyst expectations. It sold 45.51 million iPhones in the three months to September 24, beating an average estimate of 44.8 million. The company also forecast higher-than-expected holiday season revenue of between $76 billion and $78 billion. But revenue in Q4 fell 9% to $46.85 billion. That meant annual revenue fell for the first time since 2001, highlighting a slowdown in the smartphone market as well as intensifying competition, particularly from Chinese rivals. Apple executives said demand for the new iPhone 7 was strong, despite fiscal fourth-quarter revenue falls in China and the Americas, its two most important markets. Revenue from Greater China, once seen as Apple’s next growth hope, fell 30% in the quarter, after dropping 33% in the previous quarter. In the same period last year, revenue from Greater China doubled. Apple’s shares were down 3% at about $114.80 in after-hours trading. Net income fell to $9.01 billion in the fourth quarter, down from $11 billion in the same quarter in 2015. For the year, net income fell to $45.7 billion from $53.4 billion. Apple CFO Luca Maestri said it was “impossible to know” if there was any effect yet from rival Samsung halting production of Galaxy Note 7 phones earlier this month. Chinese company Xintong Tiandi Technology which sells handbags and other leather goods can continue to use the name “iPhone” after Apple lost the trademark fight in China. The Beijing Municipal High People’s Court ruled in favor of Xintong Tiandi, the official Legal Daily newspaper reported. The Legal Daily is widely recognized as the official mouthpiece for China’s Central Political and Legal Affairs Commission. Its report came out in late April but has only just been widely circulated. Apple first brought the case against the company to the Chinese trademark authority in 2012. When that failed, Apple filed a lawsuit in a lower Beijing court. Both ruled against Apple, so the tech giant appealed to the higher court. The Feds have revealed the FBI has managed to unlock the iPhone of the San Bernardino gunman without Apple’s help, ending a court case. Apple had been resisting a court order issued last month requiring the company to write new software to allow officials to access Syed Rizwan Farook’s phone. However, officials have announced on March 28 that it had been accessed independently and asked for the order to be withdrawn. Syed Rizwan Farook and his wife killed 14 in San Bernardino, California, in December. They were later shot dead by police. The FBI said it needed access to the phone’s data to determine if the attackers worked with others, were targeting others and were supported by others. According to officials, Syed Rizwan Farook’s wife, Tashfeen Malik, had pledged allegiance to ISIS on social media on the day of the shooting. Last week, prosecutors said “an outside party” had demonstrated a possible way of unlocking the iPhone without the need to seek Apple’s help. A court hearing with Apple was postponed at the request of the justice department, while it investigated new ways of accessing the phone. At the time, Apple said it did not know how to gain access, and said it hoped that the government would share with them any vulnerabilities of the iPhone that might come to light. On March 28, a statement by Eileen Decker, the top federal prosecutor in California, said investigators had received the help of “a third party”, but did not specify who that was. Investigators had “a solemn commitment to the victims of the San Bernardino shooting”, Eileen Decker said. “It remains a priority for the government to ensure that law enforcement can obtain crucial digital information to protect national security and public safety, either with co-operation from relevant parties, or through the court system when co-operation fails,” the statement added. Apple said it would “continue to increase the security of our products as the threats and attacks on our data become more frequent and more sophisticated”. An Israeli newspaper last week reported that data forensics experts at cybersecurity firm Cellebrite, which has its headquarters in Israel, are involved in the case. 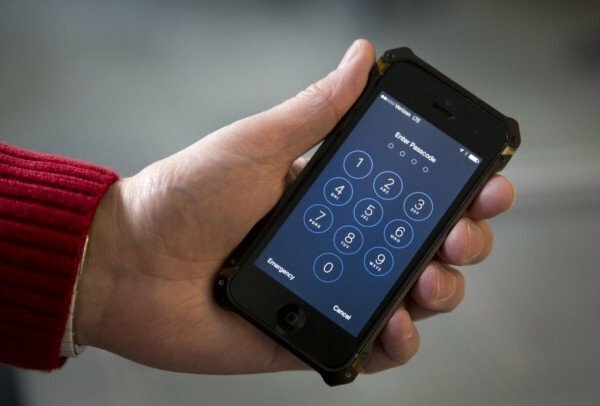 Cellebrite website, however, states that one of its tools can extract and decode data from the iPhone 5C, the model in question, among other locked handsets. The court order had led to a vigorous debate over privacy, with Apple receiving support from other tech giants including Google, Microsoft, and Facebook. FBI director James Comey said it was the “hardest question” he had tackled in his job. However, James Comey said, law enforcement saved lives, rescued children and prevented terror attacks using search warrants that gave it access to information on mobile phones. Donald Trump has called for a boycott of Apple until the tech giant helps unlock the iPhone of one of the San Bernardino killers. Apple has clashed with the DoJ over a court order forcing the company to help break the encryption on one of its phones. On February 19, the DoJ called Apple’s refusal a “marketing strategy”. Apple said it will not help break into the phone, citing wider privacy concerns for its users. The phone belonged to one of the two people who opened fire at an office event in San Bernardino, California, in December 2015. Fourteen people were killed in the attack. On February 18, a court ordered the tech giant to help break the encryption. The government has called the request narrow and argued it is only focused on this particular iPhone. The DoJ filed another motion in court on February 19 after Apple CEO Tim Cook said the company would continue to refuse the order. A California court has set March 22 for the hearing. In a letter to customers published on Apple’s website, Tim Cook called the implications of the order “chilling”. 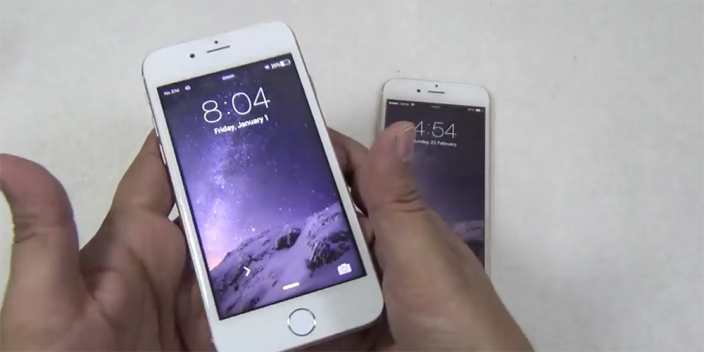 Chinese police have raided a factory which allegedly made up to 41,000 fake iPhones. Nine people have been arrested during police raid. The operation reportedly involved “hundreds” of workers repackaging second hand smartphone parts as new iPhones for export, with counterfeit phones produced worth 120 million yuan ($19 million). The factory was discovered on May 14 but was revealed on social media by Beijing’s public security bureau on July 26, according to reports. The factory was led by a husband and wife team, on the northern outskirts of Beijing, according to Beijing authorities. The reports come amid an official Chinese crackdown on counterfeit goods, with authorities pushing companies to trademark their goods. Discovered by blogger BirdAbroad, the fakes were so convincing she said many of the staff themselves were convinced that they were employed by Apple. Apple users have taken to social media to express their frustration over installing the company’s latest software update, iOS 8. Many iPhone and iPad users have resorted to deleting photos, videos and other files in order to free up space for the new version of Apple’s mobile operating system, iOS 8, which requires up to 5.8GB of storage. Apple has also removed apps for its new health software because of a bug. One expert said Apple’s updates were often prone to “teething problems”. Some vexed Apple users took to Twitter to express their annoyance. This is not the first time Apple users have had trouble with iOS updates. In 2012, the iOS 6 update caused some users to lose their apps, and others lost photos and messages when updating to iOS 7 in 2013. As well as requiring a lot of storage, the latest version, iOS 8, does not include apps that run with Apple’s new HealthKit service, which is designed to work with third-party wearable health devices. The software was originally scheduled for release in iOS 8, but has been pulled while Apple works on fixing a bug. Apple users can avoid the need to free up storage space for the latest update by upgrading their software via iTunes on a Mac or PC, instead of through the phone or tablet itself. Additionally, much of the free space required by the update is made available again once the installation process has completed. 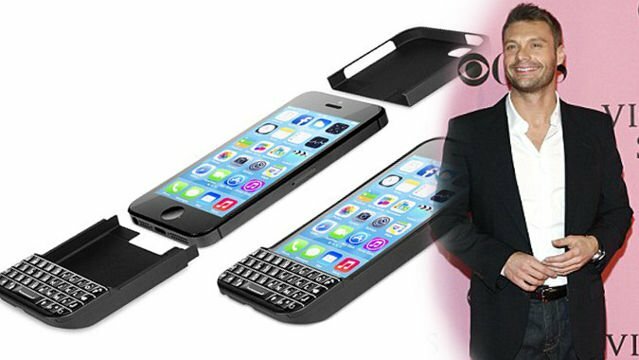 BlackBerry has filed a copyright infringement lawsuit against the company co-founded by Ryan Seacrest that makes a keyboard case for the iPhone. On Friday, BlackBerry filed a lawsuit against Typo Products LLC, a company that makes a slip-on keyboard designed to fit the iPhone 5 and 5S. The company Los Angeles-based company was founded by entrepreneur Laurence Hallier and television personality Ryan Seacrest. The company’s flagship product, the “Typo Keyboard,” was conceived to make typing on the iPhone quicker and less prone to typos. Now the company might be wishing it went a little slower. The keyboard, BlackBerry alleges, violates the company’s intellectual property rights for copying BlackBerry’s own keyboard designs. Instead of developing its own design, “Typo chose to copy BlackBerry’s iconic keyboard design as embodied in, among others, BlackBerry’s Q10 smartphone,” the lawsuit alleges, which was filed Friday in the U.S. district court in the Northern District of California. “This is a blatant infringement against BlackBerry’s iconic keyboard, and we will vigorously protect our intellectual property against any company that attempts to copy our unique design,” said Steve Zipperstein, BlackBerry’s general counsel and chief legal officer, in a statement. The suit seeks a trial by jury to obtain compensation for the copyright violation. The statement added that the company plans to go ahead with its launch at International CES in Las Vegas and is on track to begin shipping pre-orders at the end of January. Apple has signed a deal to bring its iPhone to China Mobile – the world’s largest carrier. China Mobile has more than 760 million subscribers and was one of three networks to be awarded China’s first 4G licenses earlier this month. Apple has been looking to boost its sales in China, the world’s largest smartphone market, but has struggled amid growing competition from rivals. The latest deal is expected to help it increase its market share. “China is an extremely important market for Apple,” Tim Cook, Apple’s CEO, said in a statement. Earlier this year, Tim Cook said he expected China to replace North America as Apple’s largest source of revenue. The iPhone is the firm’s most important product in terms of earnings power. China two other major phone carriers, China Unicom and China Telecom, already offer iPhones to their subscribers. China is the world’s biggest smartphone-using country, with 1.2 billion users. Chinese sales of previous iPhone models have slumped recently, as consumers have turned to cheaper rival handsets from Samsung, and domestic Chinese developers. China’s three bestselling smartphone makers are Samsung, Lenovo and Coolpad, according to a recent report by the consultants IDC. Apple’s sales have also been impacted by the fact that unlike in developed markets, many phone carriers in emerging markets do not subsidies smartphones. That means that subscribers have to pay the full amount for the phone upfront, making Apple’s products relatively expensive for some buyers. In an attempt to take on the low-cost rivals Apple unveiled a relatively cheaper version of the iPhone, the 5c, earlier this year. Analysts said the firm was hoping that a cheaper handset combined with a deal with the biggest mobile carrier in the world may help it take on rivals. However, Apple is yet to announce how much Chinese customers will have to pay for the iphone 5s and 5c models sold via China Mobile. Nevertheless, analysts say the deal has huge potential. 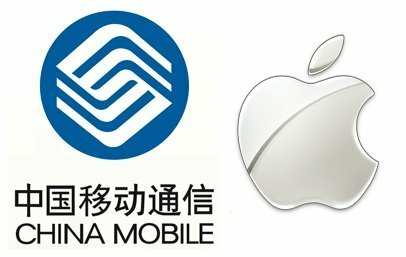 Cantor Fitzgerald Research estimates that Apple could sell 24 million iPhones next year to China Mobile customers alone. Apple sold 102.4 million iPhones globally in the nine months to September this year. The iPhone 5s and 5c will be available to China Mobile subscribers from January 17th. Samsung must pay $290 million to Apple for copying iPhone and iPad features in its devices, a Silicon Valley jury has ruled. This verdict comes after a previous jury found Samsung owed Apple $1.05 billion for copyright infringement. However, District Judge Lucy Koh ordered a new trial because she said that jury miscalculated the amount Samsung must pay. Samsung is expected to appeal. 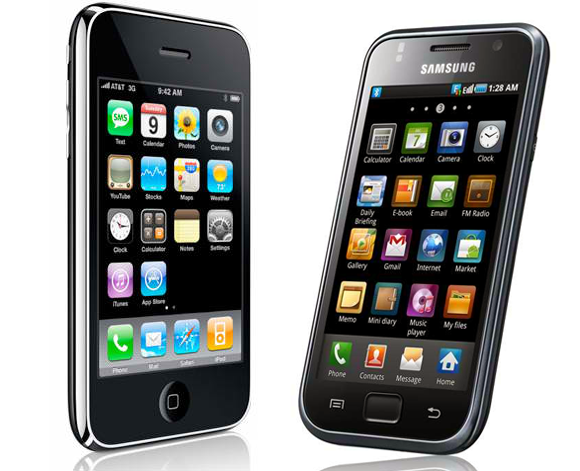 The jury’s ruling covers 13 of the 26 Samsung devices that Apple had argued copied its technology. These are mostly older Samsung tablets and smartphones. 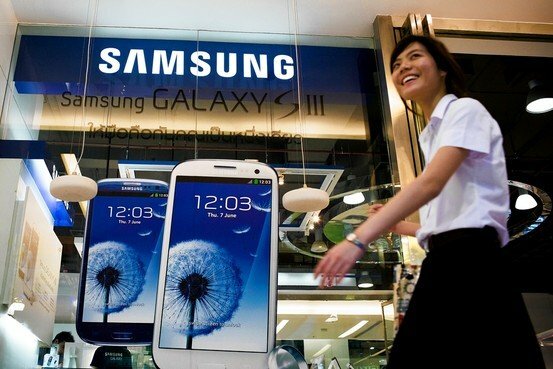 The $290 million figure comes on top of the $550 million Samsung owes Apple as a result of the initial verdict. In total, Apple has now been awarded close to $930 million in the case. Apple shares traded slightly higher on the news. Samsung closed down slightly earlier in the day. Samsung had argued that Apple should not have ownership over technology like what Samsung said was the “basic rectangle” shape of smartphones. The jury in the courtroom – which is located just 15 minutes away from Apple’s headquarters in California – thought otherwise, awarding close to the $380 million Apple sought. Samsung said it owed just $52 million. Samsung was found to have infringed Apple patents, including one that allows users to “pinch and zoom” on smartphone and tablet screens. A separate trial to determine whether or not current Samsung devices violate Apple’s patents is scheduled for March 2014. Apple has also asked Judge Koh to consider a sales ban against all of the older Samsung models that used Apple’s technology. While Judge Koh has previously refused to issue such an injunction, a separate US Appeals Court asked her to reconsider this week. For this year’s Black Friday all the retailers – Wal-Mart, Best Buy, Toys R Us, Kmart, Amazon and every other – are offering bigger and far bigger discounts. 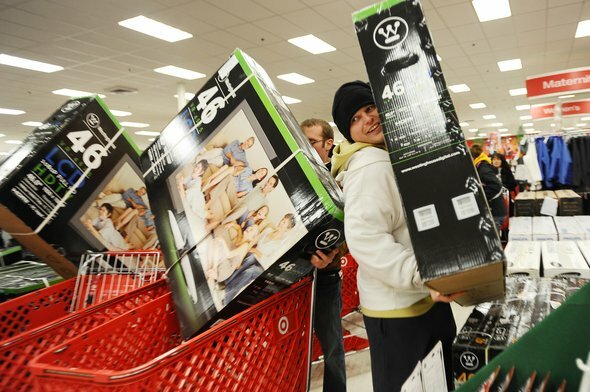 This year there are several exciting development as far as Black Friday shopping is concerned. The most important development is the fact that the retailers are opening their doors a lot earlier than previous years. The first to announce early opening on Thanksgiving for Black Friday was none other than Wal-Mart. It was followed by almost every other top retailer in the country within no time. Great offers are going to be available on every product including smartphone, tablet, laptop, camera, furniture, toys, clothes and almost every other product. You are going to get best deals during Black Friday and this include latest and top end smartphones like iPhone 5S from Cupertino based Apple and Korean based tech giant Samsung’s flagship handset Galaxy S4. And the best thing is the fact that the deals and offers are going to be really exciting. When it comes to electronic items, you need to look no further than the top electronic products vendor, Best Buy. 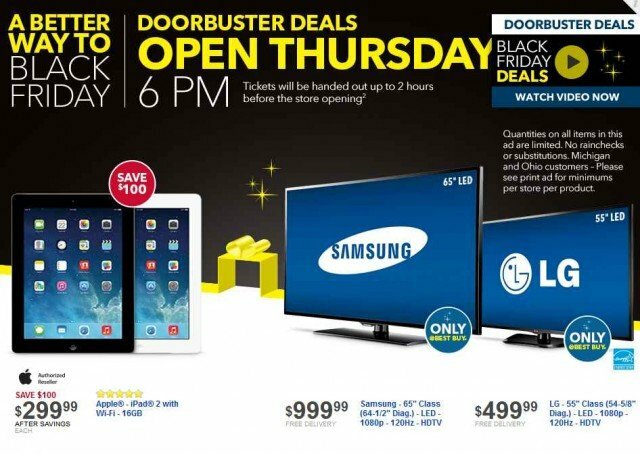 Like every year in the past Best Buy has taken the lead in offering great deals. This Black Friday electronic items are going to be in great demand and retailing companies are not going to disappoint the holiday shoppers. Not just the offers are going to become more enticing, they are becoming bigger and bigger. And the best thing about the Black Friday shopping is the fact that this time they are coming very early too. Best Buy has brought every top product under Black Friday deal list. The retailing giant seems to have brought almost every great product to the table as far as Black Friday this year is concerned. If you want to go for gizmos including tablets, smartphones then there is no better place than Best Buy. It is offering 8GB Barnes & Noble Nook HD Snow tablet for $80, down from $129, an 8GB Nabi 7-inch kid’s tablet for $130, down from $180 and 16GB Apple iPad Air tablet with Wi-Fi and $100 gift card for $480. Samsung Galaxy S4 is available for as little as $40 and 16GB Apple iPhone 5s comes for $180 with contract. So as far as electronic items’ offers are concerned, there is no one offering deals like Best Buy. Nine million iPhone 5S and iPhone 5C have been sold in three days, according to Apple. Apple said that sales of the iPhone 5S and 5C had beaten previous launches of new phones. Apple said demand for the iPhone 5S had outstripped supply and Apple shares rose almost 6% on the news before falling back to trade 4% higher. 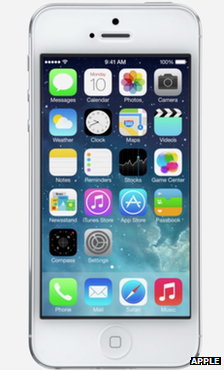 The 5S has a fingerprint sensor built into the phone’s main button. 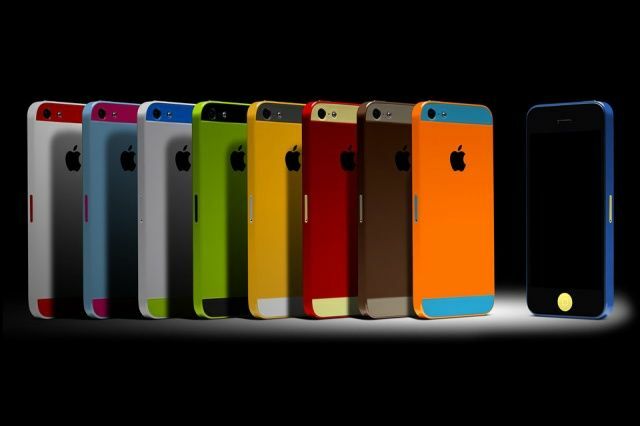 The cheaper 5C comes with a plastic back in a choice of colors. In a statement, Apple CEO Tim Cook said: “The demand for the new iPhones has been incredible, and while we’ve sold out of our initial supply of iPhone 5S, stores continue to receive new iPhone shipments regularly. Analysts said that while the sales were strong, Apple had made an effort to ensure that the opening weekend was a success. “Apple was concerned about the public relations angle of a soft first weekend, so they took some steps to strengthen the numbers,” telecom analyst Jeff Kagan said in an email. “Traditionally users could pre-order devices. Not this year. “This year anyone who wanted a new iPhone must get into line. That bolstered the lines and strengthened [the] opening weekend from a PR perspective. This upset users, but made for great numbers,” he said. In a notification to market regulators Apple said it expected sales in its fourth quarter to be at the higher end of its previous announced range of between $34 billion and $37 billion. 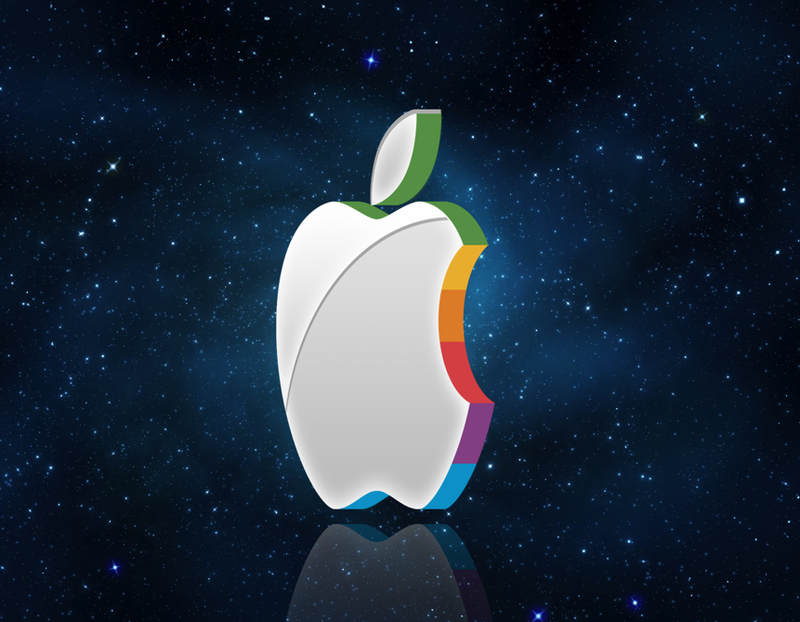 Apple also forecast that its gross profit margin would be near the high end of the previously provided range of 36-37%. 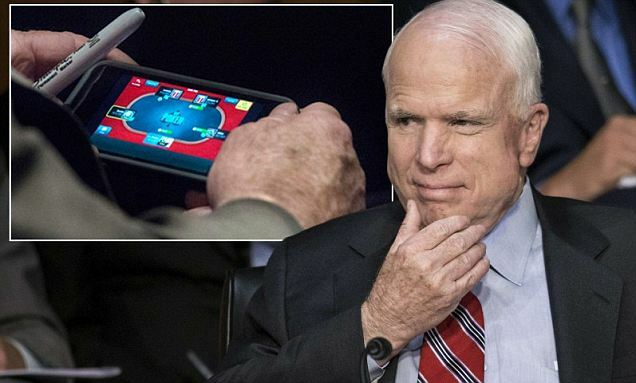 Arizona Republican Senator John McCain was caught playing poker on his iPhone while America’s most senior foreign policy and military officials made President Barack Obama’s case for using military force against the regime of Syrian dictator Bashar al-Assad. A Washington Post photographer snapped an over-the-shoulder picture of John McCain casually betting play money on his electronic cards, while Syria’s fate was the subject of passionate statements and often carefully manicured rhetoric. Minutes after the Post published the photo online, John McCain cracked a joke in the hope of limiting what is bound to be an embarrassing news cycle. “Scandal!” read John McCain’s sardonic tweet. As the news broke, John McCain was waiting to appear on CNN to discuss the Senate Foreign Relations Committee hearing. “Occasionally I get a little bored and so I resorted,” he admitted on the air. CNN associate producer Ashley Killough tweeted afterward that John McCain “said he lost <<thousands>> of fake dollars” during the marathon Capitol Hill session. John McCain may have been distracted by the presentations from Secretary of State John Kerry, Secretary of Defense Chuck Hagel and Joint Chiefs Chairman Gen. Martin Dempsey. He had, after all, already made up his mind to side with the president and his request for authorization to bomb Syria. “If the Congress were to reject a resolution like this, after the president of the United States has already committed to action, the consequences would be catastrophic,” John McCain said after her emerged from a closed-door meeting with Barack Obama on Tuesday morning, “in that the credibility of this country with friends and adversaries alike would be shredded”. In a new interview with V Magazine, legendary Prince hints that he does not have a cell phone. When asked whether he owned a highly coveted iPhone, Prince scoffed. “Are you serious? Hell, no,” Prince, 54, says, before mimicking a high-voiced woman. In fact Prince reveals that he hardly communicates with others much at all, just a select few in his team. “This organization is different than most, in the sense that we don’t take directions from the outside world,” the singer explains. Prince says he mostly communicates directly with his devoted assistant Ramadan. “I talk to her. She talks to you. She talks to Richard. And so on and so forth. If I trust her, then you can trust her,” the singer explains. 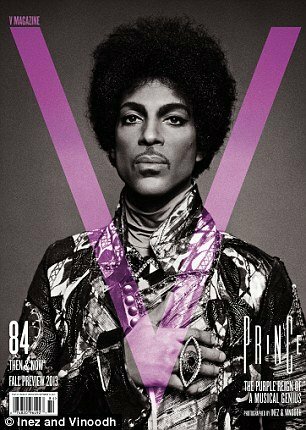 In his interview, featured in the August edition of V Magazine, Prince also slams lip-synching, telling the publication that he would not dare to cheat his fans like that. “People come to see us fifty times. 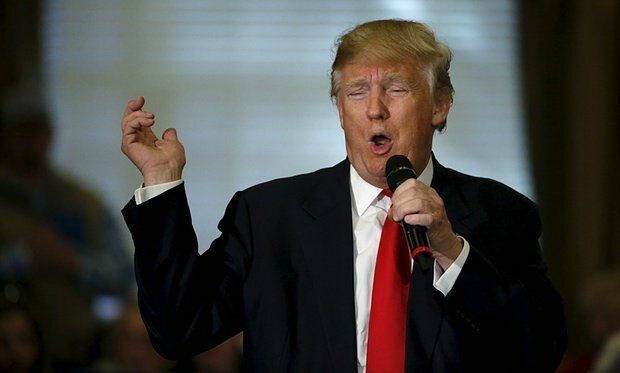 Well, that’s not just going to see a concert – that’s some other mess going on,” he explains. “This music changes you. These people are not being satisfied elsewhere by musicians, you feel what I’m saying? And when it comes to his large catalog of hits, Prince says he does not have a favorite, referring to his songs as “babies”. “Which one of your children do you like the best?” he says. In his photo shoot for the magazine, Prince, who has had a hit-making career spanning over three decades, sports a large Afro that compliments his retro look. Prince is dressed like a 1970’s super-villain with a wild silver and tapestry-style jacket. Adorning his eyes is his signature guy-liner along with a coating of makeup. Prince, who’s produced 10 platinum albums and 30 Top 40 singles, has altered his look many times over the years – while always maintaining a gender neutral theme. Prince’s androgynous look and “Minnesota sound” has been inspired by soul stars and rockers like James Brown, Little Richard, and Jimi Hendrix. “You learn from the best,” Prince has said of both his musical and fashion influences. V Magazine’s August issue hits newsstands on July 18th. It’s time to don your artsy beret and direct your masterpiece. You don’t need all the fancy high-end equipment of professional studies to produce high-quality video. Really, all you need is a great smartphone and a few accessories. Is it time to upgrade and you want to search for a phone to fill your video-making needs? Of course, you might already have a great phone for videography in your pocket. iPhones are capable of shooting high-quality 1080p HD video. They also feature software for image stabilization, so people who view your videos won’t be left wondering if an earthquake was happening. There are also attachments available for iPhones that are not typically available for other models, including a variety of external lenses. 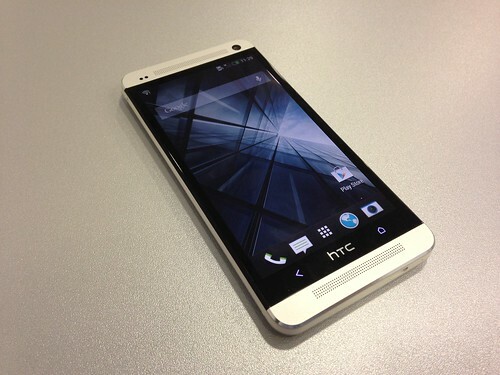 If you prefer to use a device with the Android operating system, consider the 2013 HTC phones, which feature spectacular HD cameras. Like iPhones, HTC phones have image stabilization software, which the HTC website says makes for videos that are “stable and a joy to watch.” You can also watch your videos in slow motion, so you don’t miss one beat of the action. No matter how good the camera on your phone is, a video is generally only as good as the lighting in which the shooting took place. You know the basic principles of lighting. You need enough light, and not too much light behind your subject. When you are indoors, you can manipulate those things. When your shooting happens outside, the sun presents a new challenge. The Golden Light app will let you know the time of day that is best for shooting. Lighting Designer is an iPad app for those truly serious about their mobile movie production. It serves as a tool for you to design lighting for your production. Choose the types of lights and their positions, create a floor plan, and communicate the set up to the crew who is helping with your video-making. You need reliable apps to refine your videos. Videolicious lets you apply different filters and add music, and it includes basic video editing functions. It also lets you put your logo at the end and beginning of a film. You can even add voice-overs and narration to your productions. The product is a professional-looking video you will be proud of. Clesh is another nifty video-editing tool. It is a cloud-based program, so it goes beyond your mobile device and lets you make easy use of the power and larger screen of a desktop computer. This Android-based app will delight anyone who wants to produce quality videos at an efficient pace. The Pinnacle Studio for iPad app does more than help you edit. It is with you through the entire movie-making process. Start a project with a storyboard and build your project from there. If you are putting together some videos for work, like to tell stories, or just want a fun video to share at your next family reunion, the right accessories will turn your mobile device into a movie-making powerhouse. 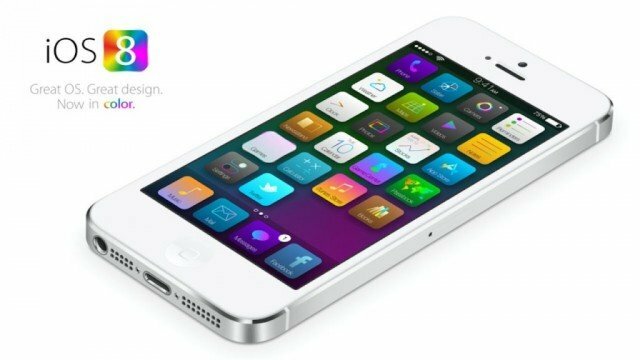 Apple has unveiled iOS7 revamp, a new look for the user interface of its smart device operating system, the first to be overseen by its design chief Jony Ive. Jony Ive said the aim was to make the system look “cleaner” to help “elevate” users’ content. It involves a shift away from skeuomorphism – the use of leather, wood and other real-world inspired textures and artifacts in apps. A similar change has also been made to its OS X system for Mac computers. Craig Federighi also showed off a parallax effect which means icons shift against the background image as an iPhone-user tilts their handset one way and another, based on feedback from the device’s accelerometer sensor. “The new version is almost unrecognizable, which will make it polarizing,” said Jan Dawson, chief telecoms analyst at the consultancy Ovum. “Some people will love that their phone feels new and different, while others will be disoriented by the newness. “Finding your Settings app is hard when the icon has totally changed, and the many people who easily get disoriented by their gadgets may well have a negative experience. Apple also announced iTunes Radio – a streaming music service offering access to themed stations which can be tailored according to a person’s listening history on iTunes, as well as tracks from specific bands – including unreleased exclusives – which they do not own. The firm suggested it was a way for users to “discover new music”, and Apple will promote the ability to buy songs that a user likes via its store. The feature is accessible via iOS 7’s music app and poses a challenge to LastFm, Pandora, Spotify and other similar products. It comes a month after Google unveiled Play Music All Access, a similar facility for Android devices. But unlike the search firm’s pay-to-use model, Apple is making iRadio accessible without charge if users are willing to listen to adverts, as well as an ad-free option to users buying an iTunes Match subscription. One music industry watcher suggested Apple’s move could prove disruptive in light of the fact the firm has 575 million iTunes accounts. About 37.4 million iPhones shipped worldwide in the January-to-March quarter according to market intelligence firm IDC, confirming its status as Apple’s biggest source of revenue. Although that was a rise on the same period in 2012, the study indicates the firm’s smartphone market share slipped to 17.3% while Android’s grew to 75%, thanks in large part to Samsung’s success. It also indicated Apple is facing a similar trend in the tablet sector. Apple’s products might still be more profitable, but IDC suggested it needed the refresh. “People were getting a bit bored with the old design so Apple needed to make significant changes,” said IDC’s mobile device research director Francisco Jeronimo. Apple said iOS 7 would be released to the public in the autumn. Apple does not have exclusive rights to use the “iPhone” trademark in Brazil, local regulators have ruled today. Apple has already lodged an appeal against the decision with the Brazilian regulators. The ruling is the result of a local company, Gradiente Eletronica, registering the name in 2000, seven years before the US firm. Apple can continue to sell iPhone-branded handsets in Brazil. 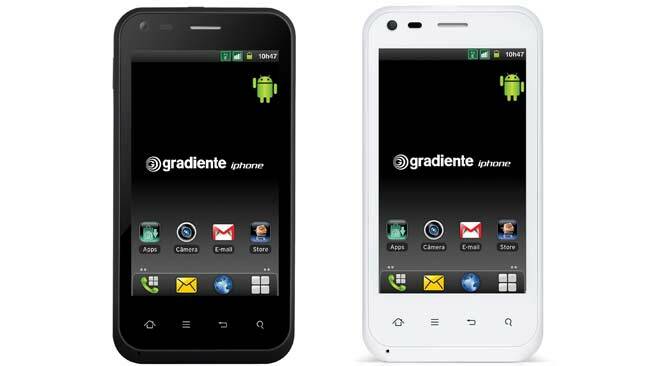 But the decision means that Gradiente has an option of suing for exclusivity in Latin America’s biggest market. The Institute of Industrial Property (INPI) said its decision only applied to handsets, and that the California-based company continued to have exclusive rights to use the iPhone name elsewhere including on clothing, in software and across publications. INPI added that Apple had argued that it should have been given full rights since Gradiente had not released a product using the iPhone name until December 2012. Apple is asking the INPI to cancel Gradiente’s registration through expiration – it is arguing that the Brazilian firm did not use the name between January 2008 and January 2013. The Manaus-headquartered company now sells its Android-powered iPhone Neo One for 599 reals ($304). Apple’s most recent financial results revealed its cash reserves had grown to $137 billion. The company’s manufacturing partner, Foxconn, currently produces iPhones and iPads among other equipment at its facilities in Brazil. Tech giant Apple has lost its crown as the world’s most valuable publicly traded company after its shares continued to fall. Oil company Exxon Mobil has regained the top slot after Apple shares fell 2.4%, following a 12% drop on Thursday. Apple, which posted disappointing iPhone sales figures on Wednesday, has seen its shares fall 37% since their record high last September. 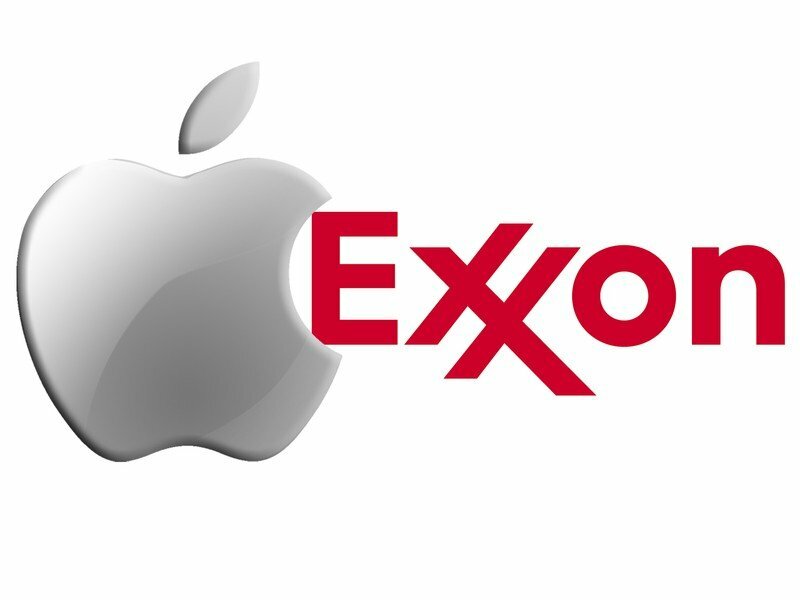 Exxon became number one in 2005, traded places with Apple during 2011, and had been number two since early 2012. At the close on Wall Street, Apple had a market value of $413 billion, against Exxon’s of $418 billion. 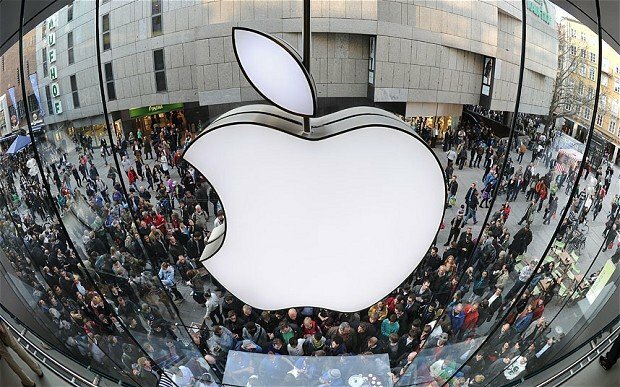 Apple has been hit by fears over its future growth, despite record profits. Although the firm said on Wednesday that it had sold more iPhones (47.8 million) and iPads (22.9 million) in the final three months of last year than in any previous quarter, investors and analysts had expected yet more. On Thursday, about $50 billion was wiped off Apple’s value after the biggest daily drop in the firm’s stock in four years. Apple is also facing fierce competition from rivals like Samsung, which accounted for one in four of all mobile phones shipped worldwide last year, according to Strategy Analytics. Apple’s share price rose sharply following a revival under Steve Jobs, who died in 2011, which came about first in computers and then the iPod music player, and was then followed by the iPhone and iPad. Apple’s shares were worth as little as $3.19 in 1997 when it faced the possibility of bankruptcy, and reached a record $702.1 on September 19.